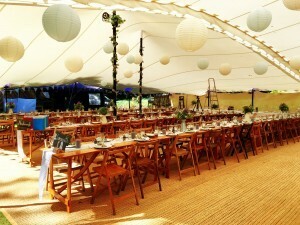 Stretch tent hire Devon. 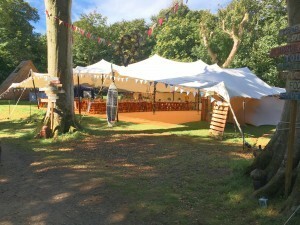 From their base in the South West Earth Village Events has been providing stretch tents for many successful events. Get in touch to find out how we can help you to make your event truly unique! Stretch tents are our favourite type of event structure, After seeing them at a couple of festivals we fell in love with their seamless looks and decided to import top quality stretch fabric from South Africa and started our venture. That was 2012! 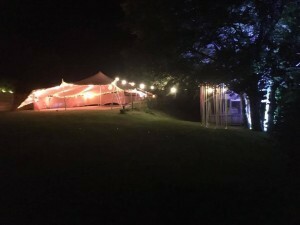 Earth Village Events have been supplying stretch tents in Devon and surrounding areas from their base in the South West ever since. We have supplied many happy customers for a variety of events to include: WEDDINGS – BIRTHDAY PARTIES – FESTIVALS – FOOD FAIRS – CHRISTENINGS to name a few. 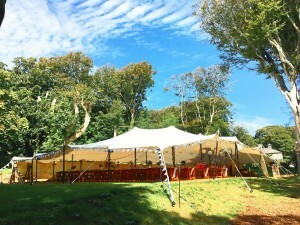 Feel free to get in touch with your enquiries by following this link to our stretch tent hire Devon enquiry form page.